Literacy - Fire poetry and non fiction writing. Maths - Multiplication and division, money, fractions and shape. - Basic skills: Reading and writing a sentence. Using a capital letter, finger spaces, a full stop. Extending sentences with adjectives and connectives. Exploring contractions. - Traditional Tales: Listening to & reading traditional tales, describing characters and settings. Exploring 'The Three Little Pigs' from a different perspective. Place value: Recognising, making and ordering numbers, estimating and counting. Addition and Subtraction: writing number sentences and using number bonds. Multiplication and division: groups of 2, 5 and 10. - Animals including humans with a focus on excise, diet, types of food and hygiene. This will also be linked closely to our metal health project. - Mental Health: Recognising different emotions and what makes us feel them. Beginning to recognise ways that we can regulate our feelings. Learning about how our actions make other people feel. - Active Learning Legacy Project (History, Geography, RE, Music, Art, Dance, Computing, PSHE.) The children will be creating a sensory garden in the infant playground. Myself: Sharing what is special to me (story, people, places, objects). What have you been learning about in school lately? 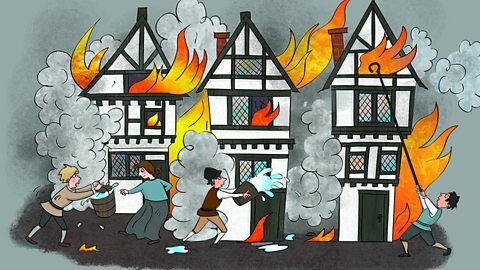 We have been learning about 'The Great Fire of London' and where it started and who started it. In maths we have been working with money and doing sums with it. What is the best thing you have done since you came back? Our favourite thing has been 'The Great Fire of London' because we liked making our poems and tasting bread. What have you been doing in literacy and maths? We have been learning about division and money and how to subtract with money. In literacy we have been writing our poems and learning about our non-negotiables with our learning rucksacks. Is there anything else you'd like to tell us about the school? We love our P.E. and we would want even more of it! We really want to do more of our literacy on the computers because it is fun. Some good thoughts for the future there Year 2! Year 2 shared loads with the Digital Leaders! In project, they have started the year learning about themselves. Year 2 have been focussing hard on spellings and new vocabulary, traditional tales, practising their times tables on TT Rockstars, and using two digit numbers. 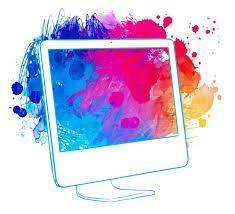 Computers have been shared as a highlight this term, including learning all about the Paint programme to draw images. As well as this, the excitement of meeting the new staff they have been working with as they settle into the new year was also a key moment. Some pupils also learn that there are more than just traditional tales out there to read, so are now looking forward to exploring these. The children shared they are excited to begin planning their work for the whole school sensory gardens next half term. Well done on all your hard learning Year 2, and well done to the Digital Leader team on their first upload to the school website.